Smith AK, Cenzer IS, Knight SJ, Puntillo KA, Widera E, Williams BA, Boscardin WJ, Covinsky KE. 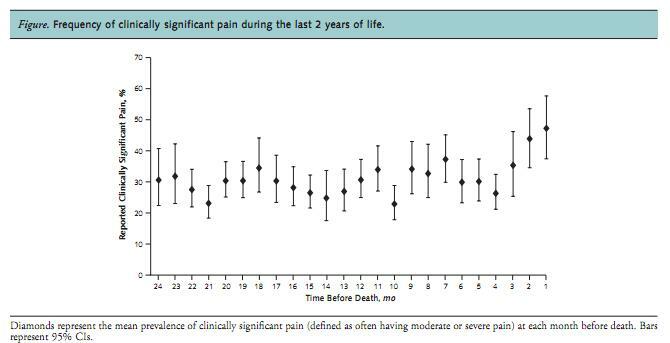 The epidemiology of pain during the last 2 years of life. Ann Intern Med. 2010 Nov 2;153(9):563-9. 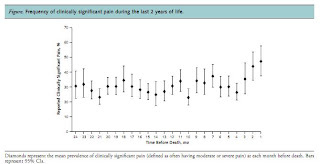 PubMed PMID: 21041575.